As a professional photographer, you have many options for printing the photos you shoot. The kind of printer you choose is based not only on the type of photos you make and who your clients are, but on how you want to present your work and what style of personal promotion interests you. As a wedding photographer, you might want to present acceptable work prints to your clients and have a lab handle the final prints, or you might want to invest in your own high-end printer and print your images. Possibly, you’d like to bring a portable dye-sublimation printer with you to the reception and make sure all guests go home with a photo of themselves with the bride (with your website stamped on the back, of course). With the availability of affordable professional-quality printers, many with increasingly portable features, it is now easier than ever to print your own work, whether it be work prints, exhibition prints or high volume on-location printing. At B&H, there is a printer available to fit every need. The Canon imagePROGRAF PRO-4000S 44" Professional Production Signage Large Format Printer is a high-quality printer with an array of professional features that can print on paper rolls and cut-sheet media as wide as 44". It is an eight-color inkjet printer with a maximum resolution of 2400 x 1200 dpi. Printing is possible on media as thick as 0.8mm. Featuring an integrated color densitometer with three-color LED and condenser lens, users will be able to recalibrate the PRO-4000S at nearly any time to ensure consistently colored prints. The Device Management Console software furthers your abilities by enabling calibrations and checking of print status for up to 50 units from a remote location. It employs the LUCIA PRO ink set, which offers pigment-based ink of vibrant, stable colors with smooth gradations, superb blacks, and fine details. Also designed to print up to 44" wide, the Epson SureColor P9000 Standard Edition 44" Large-Format Inkjet Printer offers a high level of performance and nuance for fine art applications. With the PrecisionCore TFP Print Head Technology and an ink droplet size of 3.5 picoliters, fine art photos are produced with rich, detailed, and accurate colors by the UltraChrome HDX pigment-based ink set. The maximum resolution is 2880 x 1440 dpi. Ideal for black-and-white printing, it simultaneously uses Photo Black, Light Black, Light Light Black, and Matte Black inks to produce prints with smooth tonal gradations and contrast. Eleven ink cartridges are available. Color prints on Epson Professional Media are rated stable for up to 200 years (black-and-white prints last even longer). Two- or three-inch core rolls of paper can be switched easily because no spindle is used. This increases flexibility and, again, eliminates waste. For the professional photographer who needs a tabletop printer that can provide the sharpest details and most accurate colors and often on large pieces of paper, we have numerous options. For example, the Epson SureColor P800 Inkjet Printer offers a maximum resolution of 2880 x 1440 dpi, and with its advanced MicroPiezo AMC print head, produces gallery-quality color and black-and-white prints up to 17 x 22". The printer’s nine-ink set delivers a bold range of colors, and its print head will automatically switch between photo and matte black ink to improve black ink density for various media types. An Advanced Black & White Mode is also available for neutral and custom toning of your monochrome imagery. The minimum ink droplet size is 3.5 picoliters. The Epson P800 accepts cut-sheet media up to 17" wide and features three ways to load paper as well as an optional roll media adapter for canvas and paper rolls from 13 to 17". In addition to USB 2.0 and Ethernet, the printer offers Wi-Fi connectivity for wireless printing from mobile devices. The Canon imagePROGRAF PRO-1000 17" Professional Photographic Inkjet Printer employs the outstanding FINE (Full-Photolithography Inkjet Nozzle Engineering) technology with a 50% larger print head than previous offerings, the 11-color LUCIA PRO pigment-based ink set, and Chroma Optimizer to create prints with fine detail and a wide, accurate color gamut. The PRO-1000 also offers the largest print size in the imagePROGRAF line, up to 17" wide, and can print borderless at up to 17 x 22", as well as work with thick 27.6 mil fine art media. A two-way vacuum feeder keeps media flat. 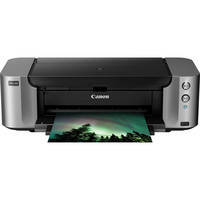 The Canon PIXMA PRO-100 Color Inkjet Wireless Photo Printer offers Wi-Fi, Ethernet and PictBridge connectivity and 4800 x 2400 dpi resolution for its max output of 13 x 19" media. Of its eight ink cartridges, three are monochrome (black, gray and light gray) for professional-quality prints. An 8 x 10" print can be completed in approximately 51 seconds and, utilizing the Optimum Image Generating (OIG) system from the PIXMA PRO-1 model, the printer analyzes various image attributes—including color reproduction, tonal gradations, black density, low graininess, glossiness, anti-bronzing and anti-metamerism—to produce the best results for each print mode and paper type. The Epson PictureMate PM-400 Personal Photo Lab is a compact, wireless printer that uses MicroPiezo inkjet technology to create detailed prints at 5760 x 1440 dpi at up to 5 x 7", ideal for your snapshots and family pictures. The PM-400 can hold up to 50 sheets of plain paper for documents or 20 sheets of thicker glossy photo paper. There is also an option for single sheets up to 23.6 mil for more specialized media. Dye-sublimation printers are the kind we are familiar with from most standard photo labs that print up our pack of 4 x 6" prints. They work by applying a ribbon of colored dye to a medium, usually a roll of photo paper. By heating a panel of color on the ribbon, the dye is vaporized and diffuses on the paper. Varying the temperature of the heating process will allow more or less dye to transfer to the paper, thus creating your image. This process is repeated for three colors and then a lamination is heated on the top to stabilize the colors and protect the final print. Even though we are used to seeing giant printers in photo labs do this, dye-sublimation printers can be portable as well. The DNP DS-RX1HS Dye-Sublimation Photo Printer is a portable event-photography printer that can produce 290 4 x 6" photos in an hour-long run. It can print either matte or glossy photos from 2 x 6" up to 6 x 8" at a maximum of 300 x 600 dpi. An efficient, fast machine, it is ideal for photo booths, as well as events. For those looking to print a bit larger, DNP's DS820A 8" Professional Photo Dye Sublimation Printer can output prints up to 8 x 12" in just 35 seconds, as well as smaller print sizes down to 4 x 8". An 8 x 10" photo will print in just 29.3 seconds. While not quite as portable as the DS-RX1HS, this bigger brother weighs about 30 lb and measures 14.4" on its longest side, so it would not be unheard of to use as a printing station at the wedding reception. For more information, stop by the B&H SuperStore in New York, speak with a sales professional on the telephone, at 1-800-606-6969 or contact us online via Live Chat. If you have any questions or comments, be sure to leave them in the appropriate space below. We'd love to hear from you! We have purchased two Canon photo printers for our office (Canon PIXMA Pro-1 and the PIXMA Pro-100) and are in need of yet another printer after both of these products have "died" within two years of regular, not heavy, use. Both the PIXMA Pro-1 and Pro-100 began to produce stripes through images (we usually print 4x6 size, semi-gloss), event after multiple attempts at utilizing the built-in cleaning / deep clean settings. The first printer, the PIXMA Pro-1, experienced issues so we sent it off to Fort Worth, TX to an authorized repair center after two phone calls to Canon tech support which walked me through the cleanings, etc. The technician diagnosed the problem as a "motherboard" dying and simply stated it would be cheaper to purchase an entirely new printer, so that's what we did and ended up with the Pro-100 model when B&H sold the printer as a combo package with a new Canon camera body. We received the Pro-100 and within two years, we began experiencing the same issues with streaks in the photo prints. I've attempted multiple cleaning operations and replaced all of the ink tanks, as advised by Canon, with no luck at resolving the issue. Here we are again, having to purchase ANOTHER photo printer for office use and I am very hesitant at purchasing another Canon printer product because of the problems and short-lived lifespan of the previous two Canon PIXMA Pro series printers. Can anyone suggest a better product?!? I love Canon cameras but they need to just quit producing printers because of the poor quality of the units that do not last longer than 24 months! I am interested to start a small business for photo printing and i need to know which printer its best and had low price printing. For better assistance with your inquiry, please consult with a B&H salesperson. You can e-mail your inquiry to printersandscanners@bhphotovideo.com or you can call to speak with someone at 212.444.6615 during B&H's business hours. I am starting a small photo printing business and would like to have suggestions on the type of computer in will need to use. 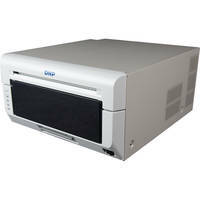 I have decided on the DNP printers and I want to make sure I have a scanner available as well as cd/dvd burning. I am hoping to jump into school photography but don't have a clue what the top/best printer to purchase or even it exists through stores such as B&H. Would you have any recommendations? I own a photobooth company and use a DNP DS40 but don't think it would cut it for quality. I would need to do all the standard size prints including wallet size, not sure if I would need to buy multiple printers. Any recommendations? I am a photographer who would like to purchase a printer to make prints - max size 30x20 inches. My friend is also looking to make good scans from his polaroids and also print them. What is a best option for me? Any advise is highly appreciated - please note that I am absolutely new to printing world and know nothing about it. I ve work in photographic lab since the age of large format photographic horizontal enlarger like Super Chromega and Durst. Time changing. In 2003 move to digital, Lambda 130 then Chromira 50. Our main product is remote sensing images. Now the time moves fast. Lambda got out of service and Chromira comes to end of life. Industry supports for real photographic printing get narrow and exclusive, Expensive. We started using Canon iPF9410 few years back and realize the potential of pigment printing. Hi; I send my pix off to Costco, most are cropped, Costco adds another layer of cropping, the final picture is half the size I wanted and cuts off certain parts of the picture, especially landscapes. Can you advise me on what printer I should buy ? 99% of the time, issues regarding borderless prints being cropped is from trying to print a full frame and borderless when the aspect ratio of the image does not match up to the aspect ratio of the paper. When this happens, either part of the image is cropped out or will have a white border on 2 sides. Most digital cameras, with a few exceptions, use one of two aspect ratios. There is the 3:2 aspect ratio of 35mm film and digital cameras (36mm x 24mm, or -1.5) and the 4:3 aspect ratio used by micro four-thirds mirrorless and many compact cameras. The 4:3 is a shorter rectangle and works well in portrait mode. Before digital, darkroom paper sizes had a 3:2 aspect ratio. 4x6. 8x10, 16x20 all conformed to the 35mm frame’s size. Printing borderless did not require any cropping. However, many of us are accustomed to inkjet paper standard sizes like 5x7, 8x10, and 11x14. These three ratios are all different and do not simplify down to the same number. That means that if you start with a 2:3 image and want to print at 5x7, 8x10, or 11x14 the image is going to have to be cropped from the original, cutting off part of the image. Or the image can be printed at its full 2:3 ratio, but with uneven borders (the borders on the long side of the print will be wider than those on the short side). Why doesn’t standard size inkjet paper not use 3:2 aspect ratio? Because it is manufactured to comply with a standard set by the International Organization for Standardization (ISO) 216:2007 that applies to trimmed sizes of paper for administrative, commercial and technical use, and also to certain classes of printed matter, such as forms, catalogues, etc. This standard uses an aspect ratio of 1:1.4142, which is the square root of 2. Rectangular paper with 1.414 aspect ratio, when cut or folded in half midway between its shorter sides, each half will have the same aspect ratio and half the area of the whole sheet before it was divided. The paper retains it’s shape regardless of size and dictates the dimensions of A2, A3, A4, A5, and more paper sizes. If you divide height by width of 8.3x11.7 inches (A4) you will get the aspect ratio of 1.414. So if your digital camera’s sensor does not match up with the paper size, image would be cropped off or have borders on 2 sides. To print borderless, your image has to be the same proportion and shape as your camera’s sensor. Just as your paper will need to be the same as the shape of your image and camera sensor to have no borders. 4x6 paper has the same aspect ratio of a 3:2 sensor. Also 6x9, 10x15, 12x18, 16x24, 20x30, 24x36, etc all have a 3:2 aspect ratio. Standard paper sizes of 5x7, 8x10, 8.5x11…do not have a 3:2 aspect ratio so borderless would only be achieved by either cropping or borders on 2 sides.The 35mm frame (3:2 aspect ratio) works well in landscape mode, but in portrait mode, it does not work well on some images. The rectangle can be too long and difficult to fill the frame. Landscapes in particular do not look good. You end up with too much sky.Most inkjet printers offer borderless printing, however they are limited to standard paper sizes. In that case, they will have a tool that will either allow you to fit image to the paper, which of course will crop part of the image. 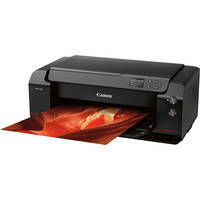 The Canon iP Pixma 7720 (https://bhpho.to/2kyYrI0) would be a good home photo printer. It can print up to letter-size. If you want an all-in-one. The Epson XP-960 all-in-one (https://bhpho.to/2hPAoXR) will have more borderless options up to 11x17 inches. Some of the larger format pro printers do allow you to create custom size prints and print borderless. The Epson SureColor P-series printers have this option. So you can choose a 3:2 aspect ratio paper size and print borderless. I am a family/newborn/ect portrait photographer looking to purchase my own printer offering up to 11x17" images, anything larger i would order through a lab. What would be the reccomendation for printer? Im looking for high quality prints that'll (in time) be more cost effective than sending my prints off. I dont do any high volume printing maybe a max. Of 30ish prints in a months time depending. Does anyone make just a high end pigment Black & White Printer only? I gave my Canon the boot after getting tried of feeding it color ink when I only use it for B&W. Inkjet printers are CMYK devices that use pigment and dye cyan, magenta and yellow inks (most printers also include black, or CMYK, because CMY alone cannot produce a wide enough DMAX to produce dark shadows) to create subtractive colors (as opposed to RGB devices such as monitors, which release light to produce additive colors). Since this color mixing is subtractive, it requires the base that is being colored to have all colors (i.e., White) so that it can create color variations through subtraction. In order to “print” white, the printer leaves the white of the paper exposed. This is why when you print on a warm or natural white paper, you won’t be able to print bright white. There are special CMYW printers, but these are mainly designed for industrial use like for signage or proofing flexographic and gravure print jobs that require the color white. As for using color ink, all inkjet printers mix color to achieve variable gray values. They also use all of the cartridges for recharging the system and to clear the print heads. To print exhibition quality black and white prints, use a printer with dedicated black and white printing mode. Most of the fine art printers that have more than 2 gradients of black/gray inks offer this. Epson has the Advanced Black and White mode on it’s SureColor P-series printers and Canon has it’s Black and White Photo mode in the Print Studio Pro application that comes with their Pro line of printers. Will there be an update to this article as the 1st 6 printers on the list are no longer available? 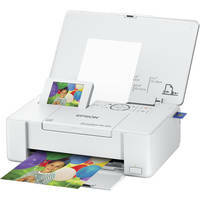 I wan't to buy profectional photo printer for my lab, pls suggest. Hi I would like to buy a printer that is less in price similar to the canon Pixma pro 100.
what would you recommend me for photo printing, also what is the best and recommendable paper for it. I would strongly recommend revisiting the Canon PIXMA PRO-100. Canon and B&H are running a terrific rebate deal right now (Offer ends JUL 31 '17), bringing the cost way, way down. At the after-rebate cost there is no better printer I would recommend. The Canon PIXMA PRO-100 Wireless Professional Inkjet Photo Printer features a 4800 x 2400 dpi resolution and Canon's FINE technology with an ink drop as small as 3.0 pl. The printer's 8-cartridge ink system provides a wide color range and includes 3 black inks for high-quality black-and-white photos. The Pro-100 can output borderless prints up to 13 x 19" and is compatible with a wide range of media, including glossy, luster, and matte photo paper as well as Museum Etching and other fine art papers. Additionally, you can print directly on CDs, DVDs, and Blu-ray discs and create your own customizable discs and jackets. The included Print Studio Pro plug in software provides an easy way to achieve optimal results when printing directly from Adobe Photoshop CS and Elements, as well as from Adobe Photoshop Lightroom. There are many great paper choices available and no single product could be characterized as "the best". Decide what size printsand finish you prefer and choose from the selection we offer under the ACCESSORIES tab> PHOTO PAPER. I'm a fine art photographer and at this point I've had enough interest in prints to consider starting up a print shop. I feel like ordering hundreds of dollars worth of prints to have them laying around and the back-and-forth between myself and a print shop would be a waste of time; I'd rather just go to the source if I'm gong to output a lot of money at once. I don't know much about printing though and it probably wouldn't be high volume; just print as needed. I don't want to offer anything larger than maybe 11x17" until I know if there's interest for larger prints (and specialty prints I can always order out to a pro). I just need something on the lower cost spectrum but still able to deliver high quality, professional results. Given all that what do you suggest? Thanks. I'm moving overseas and taking my Epson 3880 with me is not economical. What would you recommend as a replacement in the current Epson line-up? I'm printing digital negatives on OHP for contact printing processes and colour and BW images on fine art photo rag paper. According to an Epson representative, it may be in your best interest to purchase your printer in the country that you are moving to. Otherwise you may come across compatibility issues with the ink cartridges, and would have to be forced to purchase them from the country (USA) where you purchased the printer. For example, a US-purchased printer may not be compatible with inks purchased in the UK. This is because the ink cartridges are coded electronically different to prevent international ink trade. The three big markets (US, Europe and Asia) have separate coding on the chips so even if it is the same cartridge, the chip is different. Again this is information coming from Epson. 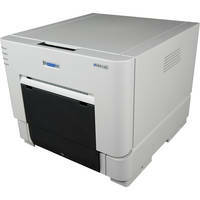 The latest Epson 3880 incarnation is the SureColor P800. It is also called the SC P-800 in the UK. There have been improvements and upgrades on the SC P800 from the earlier 3880 model.. For one it has an optional roll adapter to use on roll paper up to 17” wide, a newly formulated HD pigment ink that has a better resin encapsulation for higher scratch resistance and deeper black formulation by 1.5 times greater than the 3880. Printing digital negatives with the Pictorico Pro Ultra Premium OHP Transparency film is optimized to be used with the Epson’s HD Pigment inks with the photo black. We run a graphics shop and currntly have used an HP Z3200PS printer. Its time for us to upgrade and we are looking for something similar, but that will save us money on inks. One last question. - we typicaly don't use this every day. In fact we can go a month or two and not use it at all. What printer will give us consistant photo results, but not require constant use? The HP Z3200ps is a 12-color pigment printer. 12-color printer is considered a Fine Art printer, like the Canon Pro 2000 and Pro 4000 or the Epson SureColor P5000, P7000, P9000 printers (Epons actually have 11 inks but the Light Light Gray is utilized in the same manner as Canon’s Chroma Optimizer and HP’s Gloss Enhancer helping diffuse bronzing and more continuous tone). The Z3200ps includes Adobe Postscript,a graphics language which is very useful for presenting and writing graphics. And with the chromatic red ink cartridge, it helps expand Panton color gamut to coverage to 95%, This is very important for graphic arts and proofing applications with exact spot color matching requirements. So it is like a multi-specialized fine art, designer, graphics art printer. Since you mention that you are a graphics shop, I am assuming that postscript, Pantone color gamut coverage, clean precise line accuracy and high color and image quality are extremely important. The Epson SureColor P9000 Commercial Edition is the most similar printer (Canon currently does not have a 12-ink system with similar features) that is specialized for professional proofing and photographic applications. It has replaced the Light Light Gray that is on the Standard and Designer models with the color Violet. This expands the Pantone Formula Guide solid coated color matching up to 99%. This is great for package proofing (please note it does not increase the Adobe RGB or sRGB color space and is not meant to be used for photo applications). And it has a Line accuracy of +/- 0.2% of specified length (+/- .26mm minimum). It includes the printer language Epson ESC/P raster photographic drivers. A list of available RIPS can be found here. The PrecisionCore TFP Print Head 10-channel has improved black density 1.5 times from the previous generation of print heads. Overall contrast ratio and optical clarity are significantly improved. The user scheduled print head maintenance cycle keeps the print head and ink system charged and clean for prolonged periods of non-use.. Doing this actually will save you ink instead of powering it off for a month at a time then having to go through a few cleaning cycles to recharge and clean the system. Add-ons are the user installable internal 320GB Print server, SpectroProofer UVS, and X-Rite ILS30EP reading unit. Hello, I am running two high volume quality portrait studios inside malls. We have used Epson 3880 with refillable inks before and got great results. Unfortunately that model is discontinued and US model P800 doesn't accept refillable cartridges. P600 has accepted CIS inks but has been clogging a lot. We have just bought a pro 1000 from canon. But the ink costs are yet to be seen. We mostly print on 8.5 x 11 luster pro Epson paper and sometime 17x22. Which printer for at least 17 inch do you recommend with lowest cost of ink without compromising quality? Thank you kindly. Epson’s SureColor P5000 is the P800 taken up a notch. It’s robust engine is designed for high volume studio printing. And it uses larger ink tanks: (200 ml x11 vs 80 ml x9) which lowers the cost per ml, for larger volume outputs. Yes the P5000 has 2 additional colors, green and orange, which expand the printable sRGB and Adobe RGB, especially in the green areas that many imaging output sources are unable to reproduce. Another advantage is the SureColor P5000 uses the advanced PrecisionCore® TFP® printhead. This next-generation 10-color extended-gamut ink set includes higher-density Blacks and delivers up to twice the print permanence than the previous generation. Plus, get versatile media handling with automatic switching between the high-capacity front paper cassette and the roll media feeder. Canon does not have an equivalent 22 inch model. Their only option for 17 inch wide printer is the Pro 1. It’s ink cost are almost identical to the P-800. 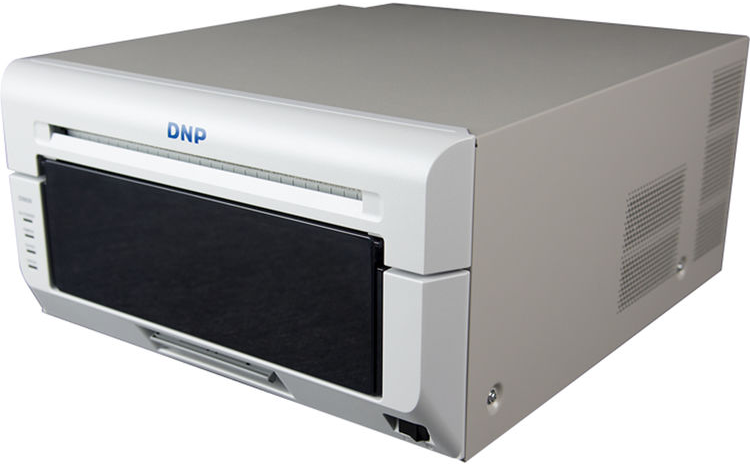 Using an enhanced thermal print head and print engine system the DS620A Professional Photo Printer from DNP is designed for high quality prints with excellent speed and 300 dpi resolution. The printer will produce prints from 2 x 6" photo strips to 6 x 8" images and in high-speed mode will create a 4 x 6" photo (about 13 cents s per print) in just 8.3 seconds. It can produce up to 400 of these prints in an hour with the roll feed and the same media can be used for either glossy or matte finishes. During operation the DS620A has both high-speed and high-quality modes, depending on your personal needs. Also, it offers a watermark on the back of the photos and has USB 2.0 connectivity to a computer. This connection works with a print driver to provide users with detailed information about current status and print jobs. My HP Designjet 130 is dying. I would like to replace it with a 24" roll fed or sheet fed (2x3' max) printer that prints high quality graphics. This would be for photographs, illustration and graphic design. It must be able to lay down precise flat colors as well as gradient blends and photographs with great detail. A printer that would be good for a graphic designer and photographer. Any insight would be appreciated. Thanks. The Epson SureColor P6000 Designer Edition would be your best option for both high quality fine art and photo printing and to also meet the demands of a professional graphic designer. 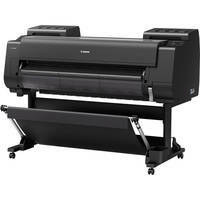 It can handle both cut-sheet and roll media up to 24" wide and can produce large, panoramic prints up to 529" in length. It uses Epson’s latest print head technology, as does all of the new SureColor P-series wide format printers (P5000 and up), the PrecisionCore TFP which broadens the dynamic range with deeper blacks and uses the 9 ultrachrome HD Ink set . On the Designer Edition series, Epson takes things a step further for photographers and graphic designers by incorporating EFI Fiery eXpress RIP software, which is built on Adobe PostScript 3 for a smooth workflow and excellent quality. The RIP creates high quality validation prints and proofs by using the latest industry media wedges and standards, along with optimization and verification tools. Built-in PANTONE, HKS, TOYO and DIC spot color libraries automatically ensure perfect brand and logo color matching. Fiery eXpress is built on industry standards, supports all common file formats and is constantly updated. It includes more than 2,500 individually created printer linearizations and ICC profiles. I am about to purchase a wide format printer for my art. I am currently stuck between the Epson P8000 and the Epson T7520. I originally had the P6000 on my list but I want to print larger....I would like at least a 36" capability, that is why I am considering the T7520. Pretty much all of my artwork will be digital...I usually work in Illustratior so that I have the freedom to print at any size. I also create paper sculptures and would like to be able to make giclee prints of the original sculpture and sell those in various sizes. What I like about the T series printer is that it is more compact and offers higher resolution and does 36" wide prints. It is also almost $2000 less than the P8000. This is pretty much going to be a once in a lifetime purchase for me so I am wondering if I should step up to the 44" wide P8000, which comes standard with a print server and the capability to store jobs, something the T offers as an upgrade...however the P series doesn't offer the option of an add on scanner and the T series does. Can you give me your reccomendation? I meant to say the T5270 not the 5720. General rule with large format inkjet printers are that the 36” wide printers are designed for graphics, scientific renderings, signage and technical-oriented printing. They have less ink cartridges, so they produce a smaller printable color gamut. They will include additional PostScript printer languages and RIP that are required for outputting vector and similar files correctly. Print speeds are usually faster than the photo printers due to having less inks, less channels, larger picoliter droplets and being primarily used for higher volume output. The Epson SureColor T-series printers are the latest of Epson’s pro line of large format printers specifically designed for applications such as CAD drawings and GIS Maps, corporate graphics, retail posters. signage, etc. It has a 5-ink system, (CMY PK, MK) and print quality is excellent for these types of printing. It's high resolution of 2880x1440 gives it the ability to produce extreme line accuracy that are so important for these types of prints. The optional scanner for the T-series is specifically to scan and copy these types of prints. The scanner's image processing software and optics are not able to handle the much higher d-max, color bit-depth and detail that a true photo scanner can scan. 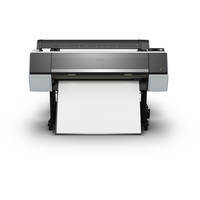 For photo and fine art printing,the SureColor T-series does not compete with the photo quality of the P-8000. It has a much wider color printable gamut and a greater bit depth for better detail in subtle color shifts. The extra grays prints a wider d-max and you will see a difference with the 9-color inks and wider dynamic range. There are many more available ICC profiles for photo and fine art paper with the P-8000 compared to profiles for banner-type print substrates such as vinyl and polypropolene. The print server and hard drive are useful for production high volume lab printing, so I am not sure if that would benefit you. I'm an enthusiast photographer and would like to print my own pictures, I will mainly be printing 4x6, 5x7, 8x10 and the occasional A3 size photos. I'm currently looking at either the Canon Pro 100 or the Epson P400, I would like to factor in printing costs as well. Which printer would you recommend? Have been reluctant to invest in a digital ink jet printer based upon my experience with the earliest models - and my continued interest in silver gelatin prints which can now be developed directly from the digital file. But I now have developed a serious intersest in alternative photography (primarily platinum prints) and production of digital negatives to simplify and control final print quality. Can you recommend best printer options for production of digital negatives (using Pictorico or similar inkjet media) and the purest of black and white prints (using silver gelatin as the standard)? Would prefer a large format table top printer. And, would you recommend QuadTone RIP or similar method to control quality output for the black and white prints (and digital negatives)? Black and white printing presents unique challenges. Some of these are the ability to produce a neutral color without any color casting, the ability to maintain that neutral appearance under different light sources (reduced metamerism), the ability to attain gray balance (consistent color throughout the entire tonal scale); the ability to achieve a very dark black (high dmax) without sacrificing shadow detail (low dot gain), and longevity. In turn, these are heavily dependent on the media, the profile and the custom black-and-white ink, as is the printer. The printers that have the multi gray cartridges (light black and light light black, for example) and both Photo Back and Matte black cartridges will yield the best quality black and white imagery with the least color casting. 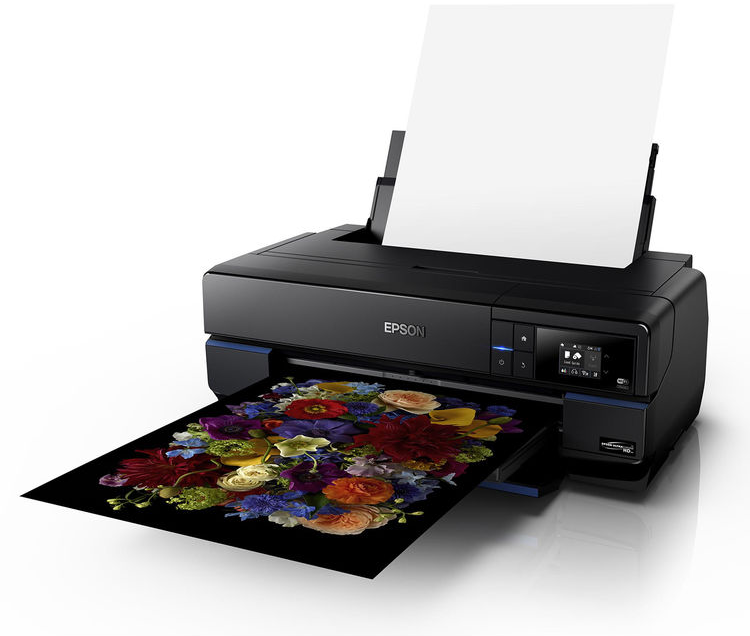 The Epson SureColor-series printers that have the Photo and Matte Black inks and the multi grays include the proprietary Epson screening and color management technology designed specifically to produce professional-level black and white prints. This unique screen technology takes advantage of the three-level black technology—along with Yellow, Light Cyan, and Light Magenta—to produce professional black and white prints from either color or grayscale files. You get more control over tonal separation, and more tonal control overall, you are also guaranteed a linear response – completely neutral gray, if that is what you want. Epson’s 17 inch wide SureColor P800 is a great option for small to medium output, and the SureColor P5000 is it’s 17 inch cousin with a more robust engine and larger ink tanks (200 ml each vs 80 ml) which lowers the cost per ml, for larger volume outputs.For the print media you will want a transparency film. There are 2 types:Transparency film has a milky surface and the usage of it is for screen printing and digital negatives-applications where the high DMAX and heavy ink load is needed but it does not require a 100% clarity.Clear film a 100% clear surface and it is used for overhead transparencies and color separations- applications where 100% clarity is needed but it does need high DMAX and heavy ink load. The best one for digital negatives on an Epson pigment ink printer is the Pro Ultra Premium OHP Transparency film. It is designed specifically for then Epson pigment printers, like the P800 and 5000.I have heard wonderful reviews on the Quad Tone RIP. They just released acompstibility with the P800. There is still no compatibility version for the P5000. Silver FX Pro is a good black & white application. OnOne has Perfect Black and White which I have used a few times. Hello, im a new photographer. I will be doing Event Photography and Family photographyand woking with a small amount of models. Im willing to buy two printers one for on site printing during event and another for high end prints. But im not sure where to start being that I dont have a huge budget. I also want to offer the images i take on garments like tee shirts(i have a 16x20 heat press) and im looking to get a photobooth set up, So my qustion is what would you recomend thats the best lost cost portable printers that good for photo booth that print 2x6 (multiple prints) to about 6x8 and for my office i would like one that prints up to 13x19 and is good with heat transfer, thats not going to kill me in production cost. There is no doubt that high-end inkjet output quality has reached a level where many see little difference from silver halide. But there are multiple reasons why inkjet technology isn’t the best choice for printing on location, especially when you need to print a high volume in a short amount of time. Inkjet printers can take minutes to print, the prints frequently need to dry before they are touched, ink costs can be steep, and the printers are simply not designed to stand up to the rigors of high volume, on-location events printing. The dye sublimation printers are the best option for these types of jobs. They work by "melting" off a layer of dye from a ribbon (basically a roll of plastic) onto the paper as it passes by a heater. Unlike inkjet or laser, dye-sub printers produce photos quickly and reliably that are dry to the touch and ready to handle right out of the printer. Additionally, the ribbon/paper print media can be stored for a few years without any issues-as long as stored properly. Dye-sub photos have a predictable cost per print and come in common photo sizes including 4x6, 5x7, 6x8, 8x10, 8x12. Many dye-sub printer models will produce specialty sizes such as 2x6 and 2x8 for photo booths and 4x8 for greeting cards. Dye-sub printers are easy to transport and a breeze to maintain. Their quick speed, reliability and predictable cost per print make dye-sub the printers of choice for location, event, passport, photo booth and retail portrait studios. Perfect for Photo Booths & Event Photography the P525L is portable and can be setup almost anywhere. Front loading makes reloading the printer with paper a breeze for you or your photo booth operators. While the compact size makes the printer easy to transport the 525L still has a large print capacity. The LCD panel on the front of the printer allows users to monitor the printer status and the remaining number of prints. The HiTi P525L is the first dye-sub printer to offer an integrated wireless solution in addition to a standard USB connection. Add the WiFi dongle and print wirelessly from your phone, camera, computer or photo booth, no internet connection necessary. The WiFi dongle is easy to set up and enables wireless printing from your computer using the printer's windows driver or from your phone or phone camera using the HiTi Prinbiz App (available for free for iPhone or Android). A WiFi dongle also offers the option of connecting a card reader allowing you to print from your camera's storage card. A real game changer, this wireless solution opens new possibilities for photo booths and event photography and has the potential of setting your business apart from your competition. There is currently a great price for the HiTi with a $200 instant savings. The compatible print media is 4x6” print media: , 5x7” print media 6x8” print media. 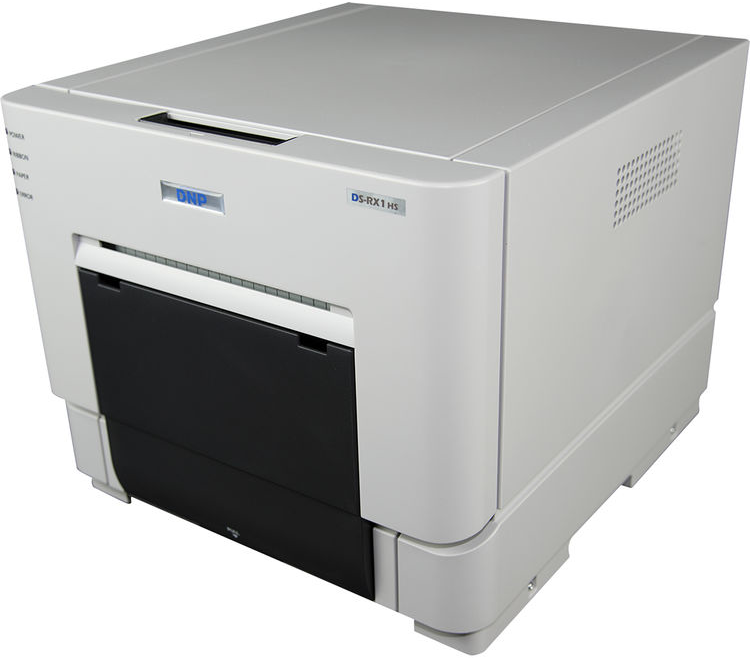 The CP-D70DW is Mitsubishi's premium, high-speed printer for both on-site event photography, and photo booth integration. This full-featured, lightweight event printer features 300 DPI, a heavier media stock, a multi-cut function, high resolution, and matte-finish print modes, and it's lightning quick! Printing a brilliant 4x6 in only 8.4 seconds! With the New Mitsubishi firmware and driver update it will print and cut 2-up 2"×6" from a 4x6 sheet. It features a 300 dpi images and can output a 4.0 x 6.0" photo in 8.4 seconds. It incorporates newly developed image processing methods, making it possible to reproduce smooth edges and natural images. High resolution prints are generated that are very clear and sharper with little or no color blurring. The printer is compatible with media Supports multiple print sizes: 2x6", 3.5 x 5", 4 x 6", 5 x 7", 6 x 6" and 6 x 8" from 3.5 x 5.0" up to 6.0 x 8.0". It comes with 1-Ink Cassette, 1-CD-ROM, 1 Set-Paper Flange, 2- Spacers, Quick Set Up Guide, Paper Strip Bin, Paper Tray, 2-Cable Tie, 1-Securing Band-& 2-Screw for securing band, power cable. For event photographers using Darkroom Core or Darkroom Professional Software in a traditional event workflow, the speed and processing power keep the lines from getting too long. If you are working with Darkroom Booth software in your photo booth, the CPD70DW’s small footprint and stability make it an excellent choice. Please go to the printer’s link (above) Then Accessories>Ink & Paper for the print media pricing. For the larger professional prints in a printing environment like yours, the 17 inch wide printers froim Canon and Epson iswa logical choice. Both the Canon Pro 1000 and Epson SureColor P-800 use 80 ml ink tanks. These are about 30% cheaper per ml over their 13” printer versions. Both will give you museum archival quality professional printing. 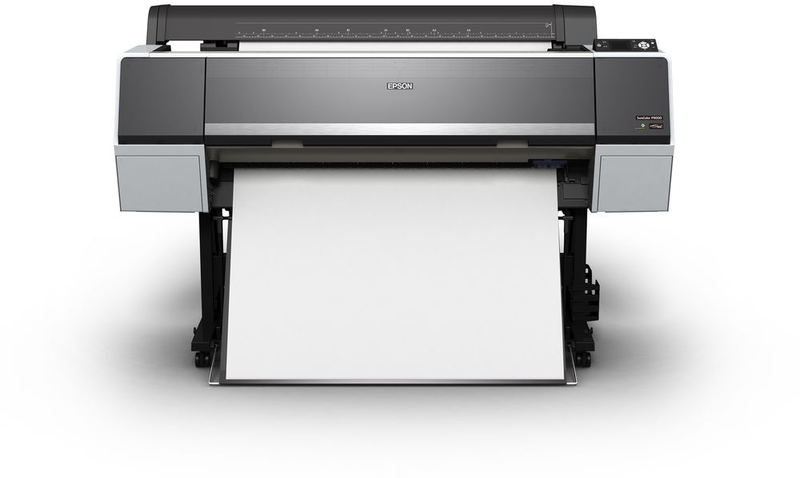 The P-800 has an optional roll media adapter that allows you to print up to 17”x129’. The Pro 1000 is limited to 17”x23.4”. Will the Epson Surecolor P-800 also do good with heat transfer? Any heat transfer media that is compatible with aqueous inks will print beautifully with the Epson SureColor P800 printer. I currently use the Epson R2400, and it works just fine for my current needs. However, although I can print beautiful 13" x 19" prints, I would like to prints double that size, or somewhere very close to double. Could you recommend a printer for me that produces the same quality as the R2400, but on a larger canvas? The Epson SureColor P-800 is a 17 inch wide version of the R2400 with the 9 ink cartridge system. It has been updated with a newer print head design that expands the d-max. With the roll media adapter (purchased separately) you will b e able to print up to 17 x 129 inches. A another advantage is the larger ink cartridge size, which holds 80 ml at $58 per cartridgbe. Ths seems a lot more than the inks you are use to purchasing for the R2400. Except your printer’s ink is around $1 per ml, while the P-800 is around $.70 per ml. That’s about 30% less. If you want to go bigger, the next size up is the SureColor P-6000This 24 inch printer has a lot of improvements over its previous model (Pro 7890) including significantly better black density levels and possessing longer permanence ratings. In addition, Epson has made technology advancements in imaging with a new UltraChrome HD pigment ink set for outstanding color and an improved Precision Core TFP print head that contains an ink repellant surface coating to help protect from head clogs. The Epson UltraChrome HD 8-Color pigment inks also promise a better resin encapsulation for higher scratch resistance and deeper black formulation by 1.5 times the prior ink set. The light light gray helps diffuse bronzing and to help prints become more continuous tone. There have also been advances to the coating used on the print heads to make them easier to clean, along with ink encapsulation that has a lesser clogging rate than the previous generation. The tank size options are 150 ml, 350 ml and 700 ml. 150 ml tanks cost $84.95 each. The 350 ml inks cost $139.95 each. Compare these to 80 ml at $58, you can start to see a pattern here: the larger the ink cartridge capacity, the cheaper the cost per ml. I had a Canon Pixma Pro9000. I had invested in a set of refillable cartridges and 2 sets of bottles of Lyson archival inks from Marrutt, then, a new printhead, after which the thing finally died. I was pretty happy with the print quality and size and media that it would print on, and am looking to replace it. Both Canon and Epson have printers with ink tanks, but none seem geared to the art community. What's your best suggestion for where to go next? I've exchanged emails with a Canon sales rep, telling them exactly what I want. I was basically told: Don't hold your breath. First, the use of CIS (Continuous Ink Systems) is not recommended. Especially on the higher end prosumer/pro printers (8-Color to 12-Color pigment ink-jet printers). Using CIS also will void any warranty on the printer. And if not used very frequently (as in multiple times per week), you will experience serious clogging issues. You will have a hard time finding ICC profiles (better off creating your own custom profiles). And finally, CIS often affects the printer’s lifespan negatively. Canon’s Pixma Pro9000 Mark II printer had been a popular choice for photographers that wanted to print with dye inks (rather than pigments) with rich color and good print life. As part of the line of updates to their desktop printer line up, Canon replaced this printer with the Pixma Pro-100. Based on the top of the line Pixma Pro-1, this is a 13x19 printer that uses Canon’s ChromaLife 100+ inks. In a change from the original model, the Pro 100 uses three blacks - black, gray, and light gray, for better black and white printing. Other new features include the same image optimization technology found in the Pro-1 printer, a new Print Studio Pro plug-in for better printing directly from Photoshop and Digital Image Pro, support for printing on CD/DVD printable discs, and AirPrint for wireless printing from iOS devices as well as WiFi. As for other options, on the Canon line you have the Pro 10 and the Pro 1. The PIXMA Pro-10 sits in the middle of the three 13 inch wide Canon’s that were released at the same time as the Pro 100. Designed primarily for photo enthusiasts, it uses the same Lucia inks as the higher-specified Pixma Pro 1, but with one grey tank instead of the Pro-1's three grey inks. Lucia inks are pigment, as oppose to the ChromaLife dye inks (dye-based ink sets exhibit excellent color gamut, pigment inks excel in permanence. The particulate nature of pigment inks ensures their archival superiority. A particle of pigment is less susceptible to destructive environmental elements than a dye molecule). The ink tank capacity is similar to the Pro 100’s at around 14 ml. There is support for ICC profiles not only for Canon papers but also third party papers from Ilford, Hahnemuhle, Canson and Moab. The Pixma Pro 1 is the most “sophisticated of the 3 models. With a capacity of approximately 35 ml, each ink tank in the Pro-1 holds 2.5x more ink than the Pro 10 and Pro 1 models. A total of 12 ink cartridges: Yellow, Photo Cyan, Cyan, Photo Magenta, Magenta, Red, Light Grey, Grey, Dark Grey, Matte Black and Photo Black plus a new 'Chroma Optimiser'.for correcting matamerism ( the phenomenon wherein two colored samples will appear to be of the same shade under one light source but will appear to be different shades under a second source.) Chroma optimizer reduces metamerism on coated papers and reduces the difference in ink droplet height to ensure a smooth ink layer, evenly reflected light, deep blacks, and saturated colors. The Pro-1 provides plenty of advance warning when ink tanks are running low. You should be able to produce at least 20 A3 prints before a tank is depleted. It will also keep running until there isn't enough ink left to make a print of the specified size before requiring you to replace a tank. The PIXMA Pro-10 is a competent performer that can produce very nice-looking prints in both color and monochrome. 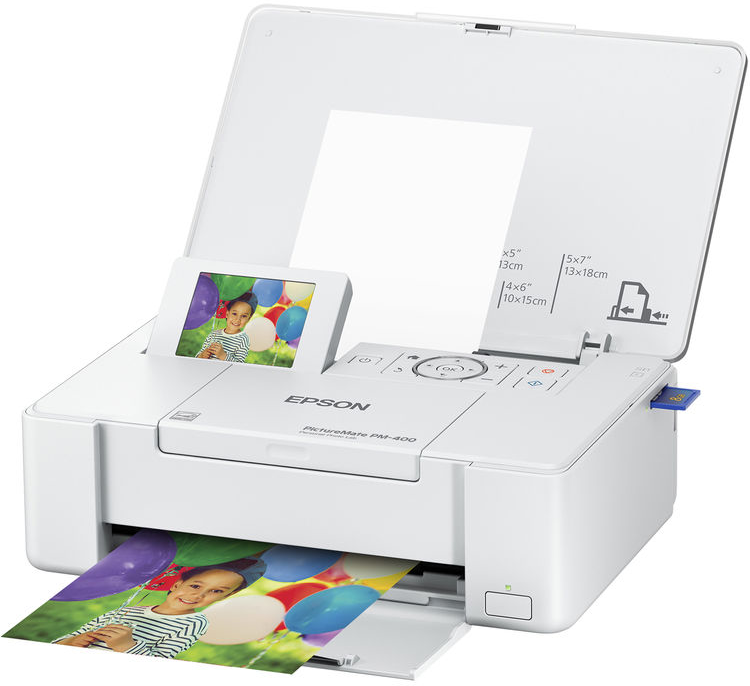 It’s Epson equivalent is the SureColor P400. The P-400 uses 8 UltraChrome HG2 pigment inks. This updated inkset incorporates new red and orange inks as well as a Gloss Optimizer to reduce metamerism. The complement of pigments comprises cyan, magenta, yellow, red, orange, photo black, and matte black ink in addition to the Gloss Optimizer. It is a shift towards warmer colors and away from a broader array of monochromatic inks. Major difference is droplet size is 1.5 picoliter vs 4 picos on the Pro 10 (Note: more inks/colors do not equate to better quality color. That is the job of the driver , the program you are using to print and some paper specific parameter file - an icc-profile - to put the right mix of inks onto the paper). The Pro 1’s closest competitor on the Epson SureColor series is the P600. 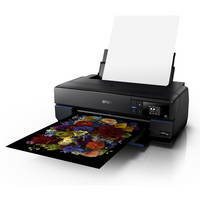 The P600 offers a nine-color pigment-ink formulation (UltraChrome HD), high-capacity ink cartridges, roll paper printing, a paper feed designed for thick fine art media, and a dedicated black and white (B&W) printing mode alongside conveniences like a tilting touchscreen control panel and built-in Wi-Fi connectivity to go along with its wired Ethernet and USB ports. If you’re after the convenience and high degree of control that printing at home offers, you’ll appreciate the outstanding quality, print longevity, and nearly limitless paper choices that the P600 offers. Both the P-400 and P-600 come with a roll adapter that allows you to print up to 13 inches x 129 inches. The Canons do not have this option. I am an Oil Painter. I go on photo shoots with my Nikon D3 camera that are organized for Western artists, and print images on my Canon Pro9000 Mark 11 printer for my Realist paintings. The difference of what I see on my monitor and the printed image is frustrating. The colors are garish and the detail is greatly lacking. I use my printed images for my references as I paint. I might even like to make smaller prints of my paintings for sale, although I do have large Giclees made at a printshop. I have $1000. plus to spend on a good printer. I have made a list of some printers that have high ratings such as: PROGRAF PRO 1000, PIXMA PRO 1, EPSON SURE COLOR P-800, STYLUS PRO 3880, and the DESIGN JET T120 eprinter- Perhaps you like something other than these for my needs. Can you advise me on the best choice for my needs please? If you do not calibrate your monitor, you will not get a good monitor/print match no matter what printer you buy. There are a number of calibration devices availabe. To ensure glicee-quality printing with the best color accuracy is a 2-step process. First you need a printer capable of glicee quality prints. Images are generated from high resolution digital scans and printed with archival quality inks onto various substrates including canvas, fine art, and photo-base paper. The gliclee printing process provides better color accuracy than other means of reproduction. Gliclee prints are created typically using professional 8-Color to 12-Color pigment ink-jet printers. Among the manufacturers of these printers are vanguards such as Epson, Canon & Hewlett-Packard. These modern technology printers are capable of producing incredibly detailed prints for both the fine art and photographic markets. These are printed on archival paper which, by definition, are acid-free, lignin-free, buffered with calcium carbonate, and have a pH between 7.5 and 9.0. And they now come in different textures, weight, thickness and surfaces. Out of your list of printers, the Stylus Pro 3880 has been replaced by the SureColor P-800. The DesignJet T120 is designed for scientific renderings, autoCAD, blueprints and similarly type prints. It is also restricted in print media compatibility. For instance, you are limited to media no thicker than 11.5 mil thick. The 2 best options are the SureColor P-800 and the Canon Pro 1. 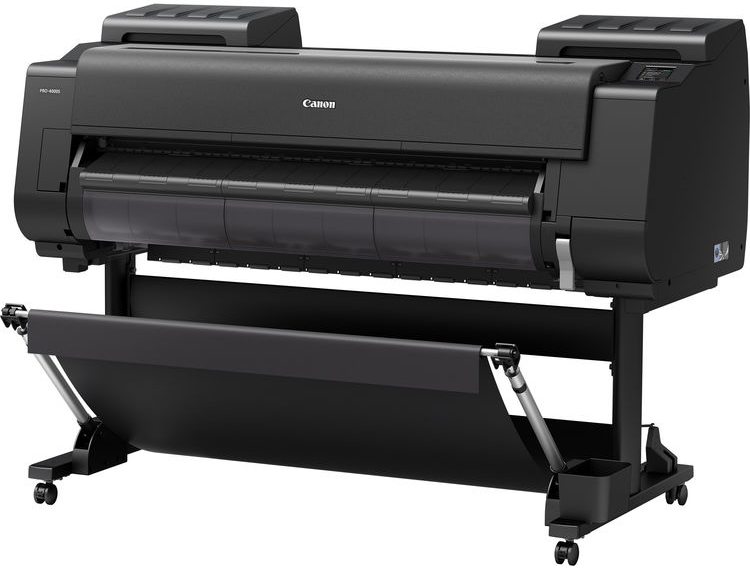 Major differences are the roll paper adapter option ion the P-800, allowing you to print up to 129 inches in length, Canon’s firmware won’t allow you to print anything longer than 23+ inches. You can check out reviews and opinions right here in the Q?A ofr this article. I have written extensively on these two models and their similarities and differences. One common remark I have seen with online reviews and various print forums is the Epson prints more accurately color renderings based from the excellent paper ICC profiles that they provide, and from third party paper ICC profiles that the manufacturer provides for the P-800. For achieving the best color accuracy and reducing your image editing time and at the same time improving quality in your Raw or JPEG workflow, start with the ColorChecker Passport Photo. You can easily capture accurate color, instantly enhance portraits and landscapes, and maintain color control and consistency from capture to edit. It’s also an ideal visual reference. ColorChecker Passport Photo was developed with the DNG workflow in mind. Quickly and easily create custom camera profiles with the included Adobe Lightroom plug-in for generating customized DNG profiles quickly and easily for Adobe Imaging solutions, such as Lightroom, Photoshop, Photoshop Elements, Camera Raw (ACR) and Adobe Bridge.Or you can use the X-Rite standalone software. Using advanced profiling technology, the ColorChecker camera calibration software delivers excellent results even in the most unusual lighting conditions. For creating a custom monitor profile, the i1Display Pro incorporates technologically advanced filter and optical systems, amazingly fast measurement speed, and unrivaled color accuracy on all modern display technologies. It’s also spectrally calibrated, which makes it field upgradeable to support future display technologies, The ergonomic design incorporates three functions – ambient light measurement, monitor profiling, and projector profiling. The included i1Profiler software for calibrating and profiling all modern display and projector technologies including LED & Wide Gamut LCDs. Advanced user-defined controls support more sophisticated workflows. We are currently bundling the 2 together.